The British Racing Drivers’ Club (BRDC) is delighted to confirm that it has completed a transaction with British commercial property company MEPC, which has taken a 999-year lease on the existing Silverstone Industrial Estate and the development land around the outside of the circuit, on which planning permission has been granted. 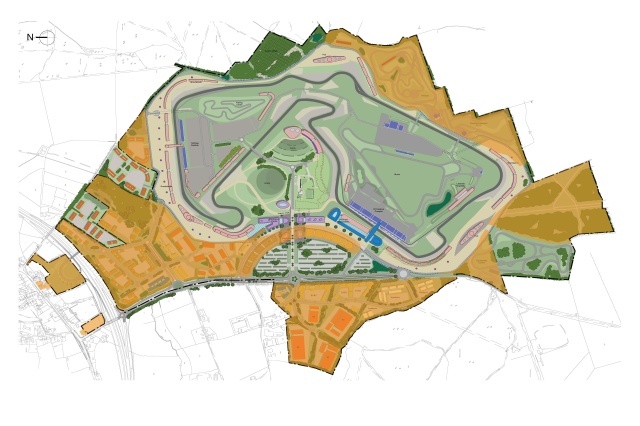 This agreement does not include the management or development of Silverstone Circuit itself. MEPC is owned by the BT Pension Scheme, the UK’s largest corporate pension scheme, which also owns Hermes Fund Managers. Importantly, MEPC is a long-term investor, which understands about the creation, development and on-going management of large Business Estates, meaning that it has an alignment of interest with the BRDC and its vision for the future of Silverstone. MEPC has paid £32m for a long-term lease. This payment has allowed the BRDC to pay off its long and short-term loans from Lloyds Banking Group and Northamptonshire County Council, to whom the BRDC is grateful for support. Stuart Rolt, Chairman of the British Racing Drivers’ Club, said: “Following major improvements to Silverstone, including significant investment in the Grand Prix Circuit and building of The Wing, the BRDC Board was given a mandate three years ago to attract suitable partners to invest in Silverstone and help realise the full potential of its 760-acre Estate. Over three years the Board has given consideration to a number of offers from credible parties and we are delighted to have reached an agreement with MEPC, which was selected on the grounds of its financial standing, reputation, the quality of the developments it has undertaken - and continues to own - and the price it was prepared to pay. Rick de Blaby, Chief Executive Office of MEPC, said: “When we were approached with the BRDC’s vision of what Silverstone might become in its next iteration, it was easy for my colleagues and I at MEPC to relate to such ambition; the creation of great business estates, with clusters of particular commercial activity that have a sense of place and community, is what we do. That the BRDC had secured planning consent for its Masterplan is to its great credit and we are, of course, hugely cognisant of the immense history of Silverstone and its current standing today, not just as a venue for world-class motor sport, but as a centre for high-end precision engineering. The agreement with MEPC does not incorporate the development or management of the circuit itself. On that subject, the BRDC can confirm that it has agreed terms with a suitable partner to further develop and invest in the circuit and circuit-related facilities. Under the terms of non-disclosure agreements the BRDC is not able to comment on any details, but the aim is to bring these negotiations to completion before the Club’s Annual General Meeting on 04 October.